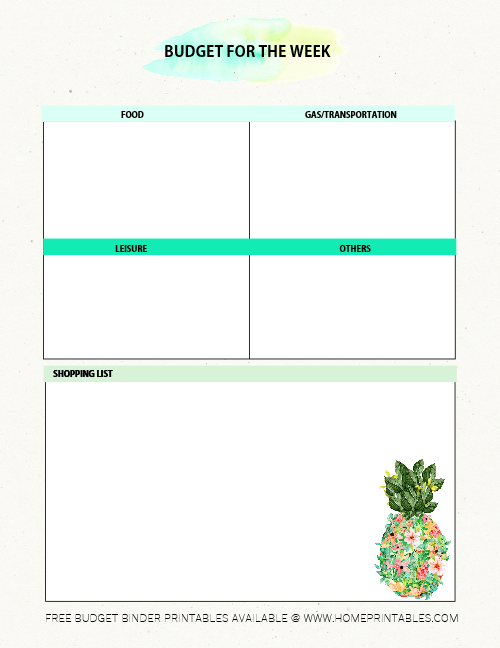 FREE Printable Budget Planner 2019: GROW Your Savings! Our free printable budget planner 2019 is here! If you’re looking at seriously organizing your finances in 2019, this nifty budgeting printable can help! It’s time to cut organize your finances and finally GROW your savings! 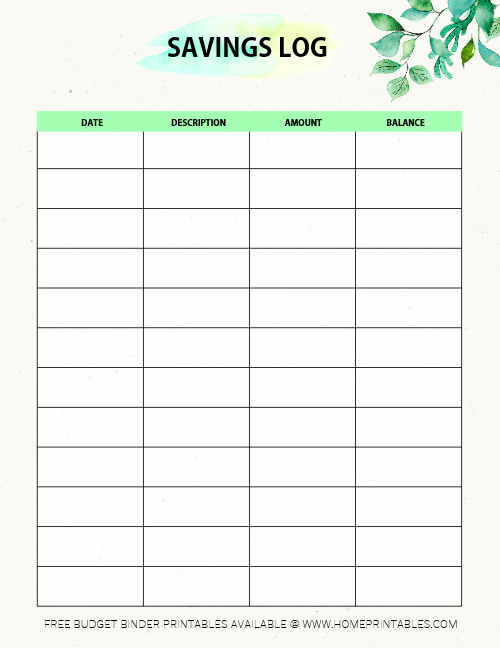 Get ready to start your journey to financial wellness with this free printable budget planner! Hello, friend! 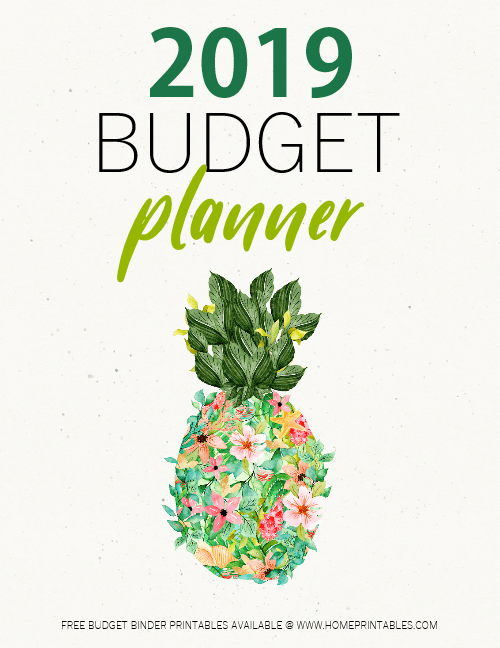 Are you looking for a free printable budget planner 2019 to use? 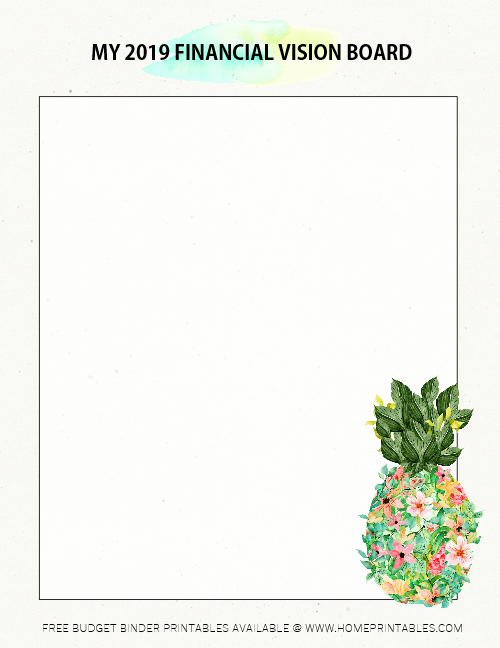 We’re happy to share our very own budgeting printables. Start the new year right by carefully rethinking about how you handle your finances. How else can you improve your spending habits? Are there more ways to increase your savings? It’s time to be financially wise! Your Free Printable Budget Planner 2019 to Help You Start the Year Right! We’re sharing brilliant worksheets to help you organize your finances this year. This planner includes 15 pages of budgeting printables that you can use immediately. The planner includes pages such as vision board printables plus goal-setting planners so you can clearly set your financial targets this year! Friend, what do you intend to do come 2019? Are planning to zero your debt? Build your dream home? We would love to help! Instantly download this free printable budget planner 2019 and start writing down your financial plans this year. But first, here’s a quick planner tour so you can have a little glimpse of the planner. Let’s start with the planner cover that we’ve created for you. The planner comes in botanical theme created by Dennise Anne. We love how this lush island pineapple shows us about growth. When we successfully manage our finances, we, too, can grow our finances exponentially this year! It’s going to be a prosperous year for all of us! How would you like your 2019 to look like when it comes to your finances? What are your financial vision for 2019? Make them clear by writing or sketching them in this page. There’s nothing like facing the year knowing your directions, isn’t it? Next up are the budgeting worksheets! Yup, this free printable budget planner 2019 includes several budgeting worksheets that will help you budget your wallet on a weekly and monthly basis. Take a look at this sample page. This weekly budgeting worksheet will let you allot money for food, transportation, leisure and others. It also includes a shopping list so you know what to snag when you go to the grocery (and not to overspend on anything unnecessary)! We’ve also included savings log that will motivate you to increase your savings. Are you ready to use this? We’re excited for you to pen in your savings month by month! 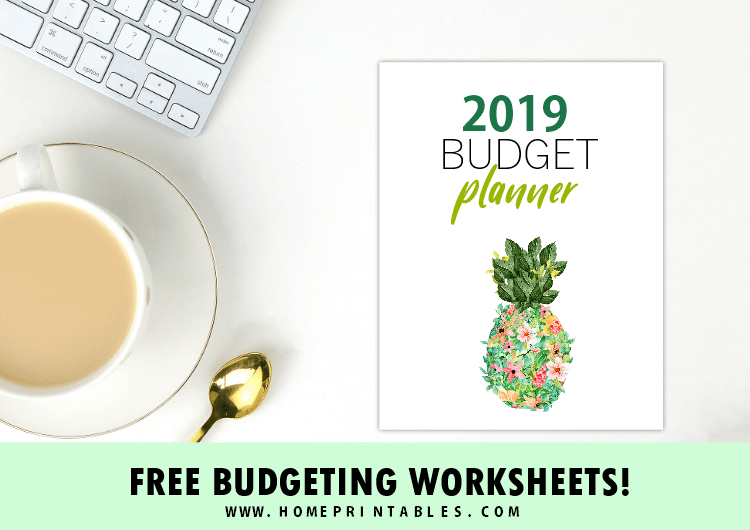 Grab Your Free Printable Budget Planner 2019! Do you think you can make this planner work for you? We really hope it can help you organize your finances! Download your free printable budget binder file instantly by popping over here. Please note that the pages of this planner are designed for printing in sized 8.5″ x 11″ paper. They are absolutely free for personal use! Grab a cup of coffee and start rethinking about how you can organize your finances this time. Happy planning! Looking for an Ultimate Financial Binder? Great news! We have released a comprehensive budgeting toolkit that can be helpful for you, too. Introducing, My Wealth Binder, a personal money management planner that targets to help you successfully manage your finances. identify financial leaks and more! Check out this 40-page money management toolkit to see if it can help you be financially free, finally! (Or, know more about this planner HERE). No time to print this budget binder yet? Don’t worry, you can always come back here to snag your copy. Pin us at Pinterest so you can easily find us again, soon! You’ll also help our blog grow by pinning! We wish you a bountiful 2019 ahead!